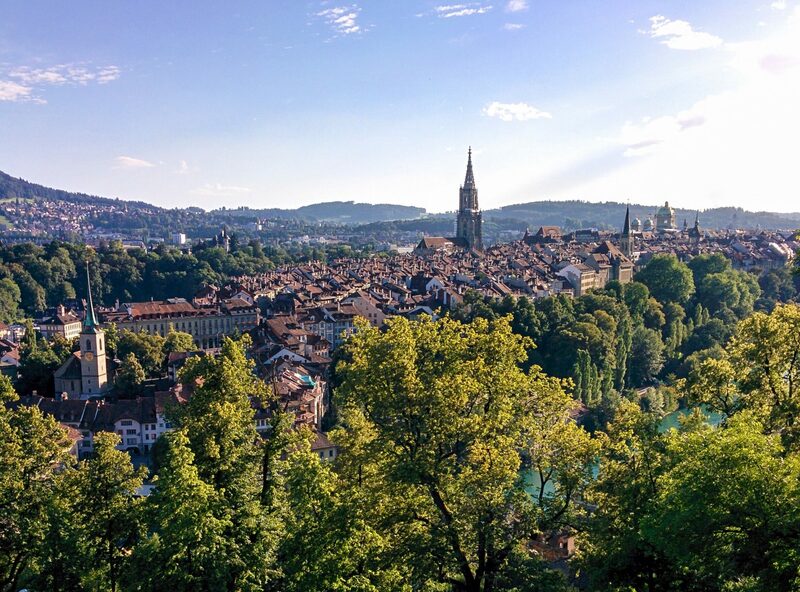 Bern is one of the most beautiful cities I’ve had the pleasure to visit. From the very first time, I could see the natural beauty of the city, peeking from the window of my train. The city itself is also gorgeous, with beautiful buildings, cobbled streets and lovely gardens. 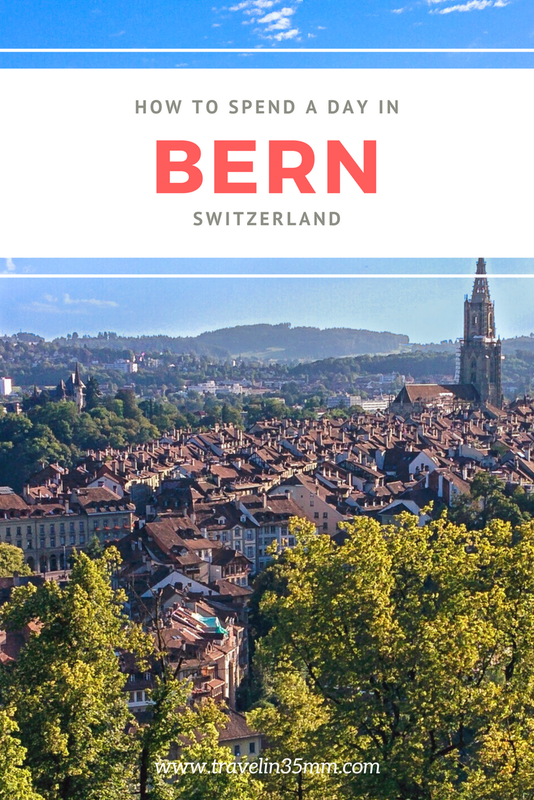 However, the city is small enough that most people only stop there for a day or two, and that’s why I’m about to tell you the best way to spend a day in Bern. 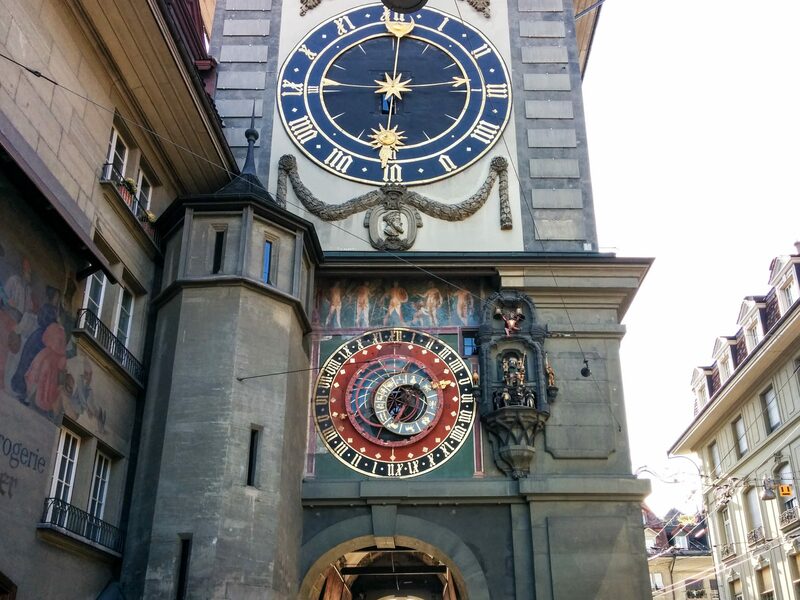 The Zytglogge, a UNESCO World Heritage Site, is probably the most famous and interesting sights of Bern. This clock tower is a masterpiece combining mechanical craftsmanship and art. The beautiful astronomical clock was made back in the 15th century, while the tower was originally built in 1218. The clock not only shows the time but also the daylight, the day of the week, the month, the zodiac and even the current phase of the moon! Being that old the clock follows the Julian calendar, which doesn’t have leap days, so it has to be manually adjusted every 29th of February. The tower, by the way, was originally a watchtower and used later as a prison. 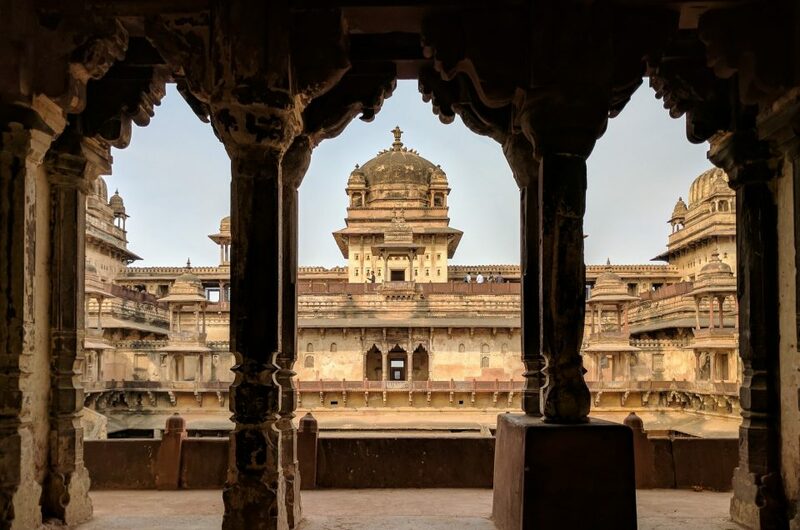 Sadly it burnt down at the beginning of the 15th century, and it has been rebuilt multiple times. 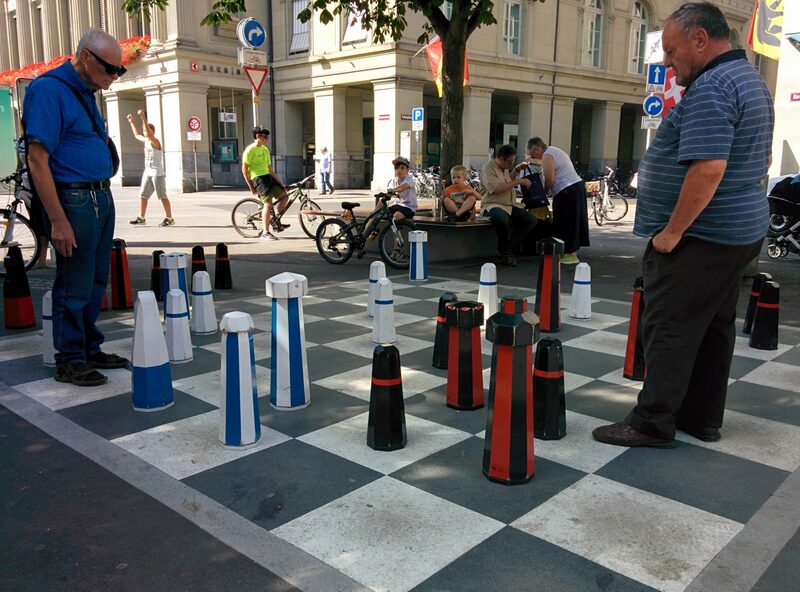 Not far away from the Zytglogge, in the Bundesplatz, there is a huge game of chess where locals and tourists play. If you like to play the game don’t be shy and join them in a game of two, they will love it! I played twice again the owner of a local shop and we both had a great time. Or just can always sit under the nearby tree and watch them play instead. Once you are done, take some time to explore the rest of the square. It is surrounded by beautiful buildings, especially the Parliament or Bundeshaus. Did you know Albert Einstein lived in Bern for seven years? Not only that, he was living in Bern when he published his “Annus Mirabilis Papers”, describing the Photoelectric effect, Brownian motion and, of course, the Special relativity. He was working as a patent examiner back then. Today you can walk the beautiful street, filled with flags, where he lived. You can even go to his house, a museum now. Be careful since it’s easy to miss, I certainly did a few times, there’s only a tiny red sign announcing it! Keep walking down the street where the Einsteinhaus is and you will find a bridge over the Aare river. 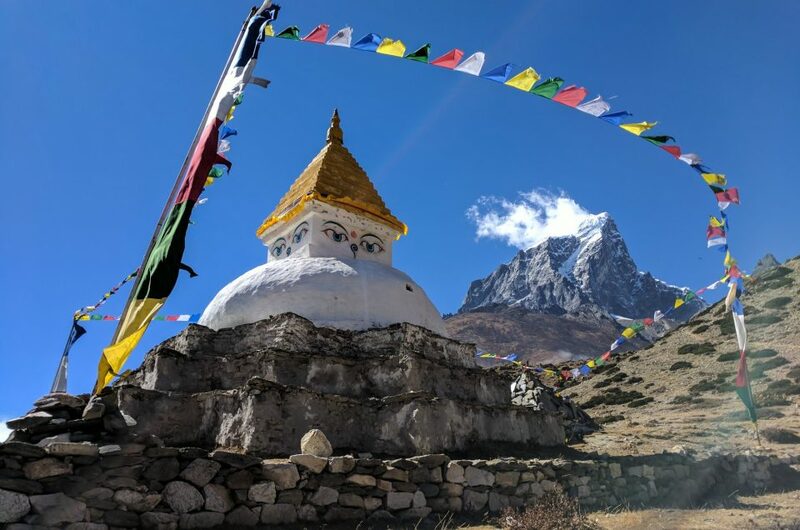 The view from there is breathtaking, and let you enjoy the natural beauty of the city. I spent a long time there, just enjoying the fantastic view and taking a bunch of pictures. The colour of the water is almost unreal, with aquamarine tones that give the whole view a look straight out from a fairy tale. Near the bridge, right after crossing it, there is an enclosure called BärenPark with some bears. Why bears? Turns out the bear is a symbol of Bearn, and it has been for almost a thousand years. According to the legend, the Duke Berthold V of Zähringen named the city after defeating a bear in 1191. The BärenPark, however, is more recent. 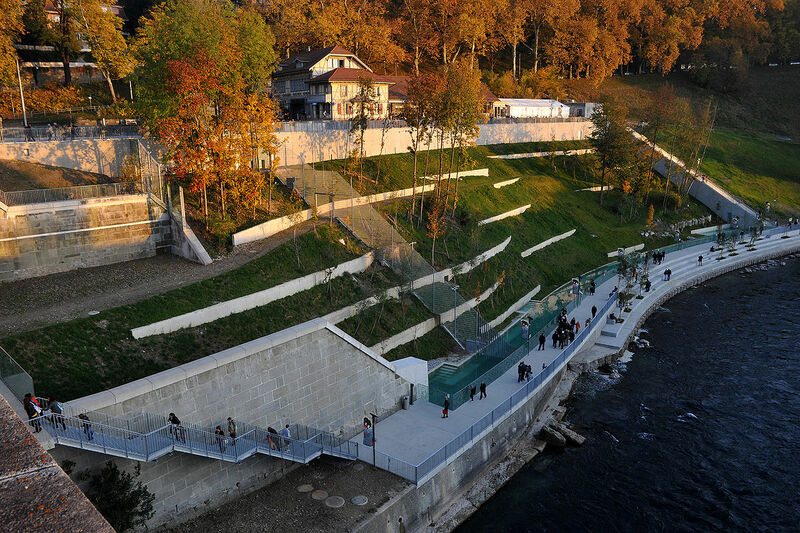 The large enclosure was built in 2009, and the original bear pit, the Bärengraben, was first opened in 1857. When I went there, sadly, I couldn’t see any bears. 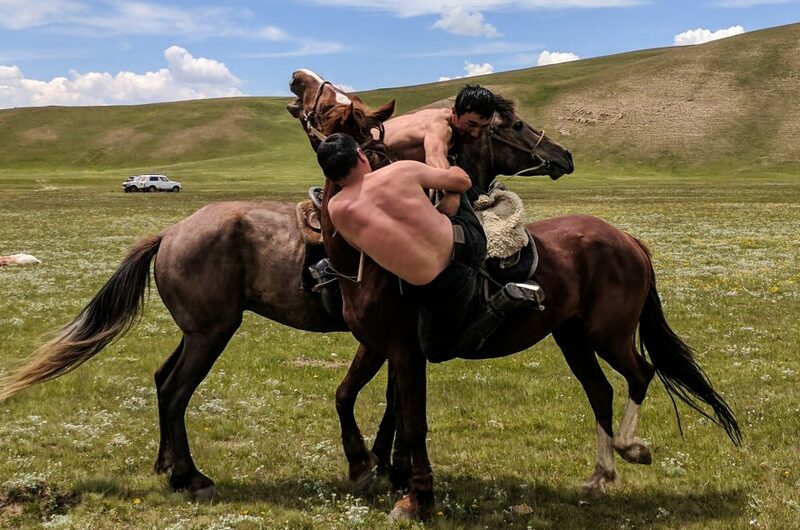 They were probably sleeping! The views from the bridge are fantastic, but if you keep walking uphill you will reach the famous Rosengarten. It only takes a few minutes to go there, and not only has a beautiful garden with over 200 varieties of roses, it’s also a great viewpoint where you can see the whole city from above. It used to be a cementery, but today is a relaxing garden with a nice restaurant where you can have dinner enjoying the views of Bern. It’s probably the perfect place to sit down under a tree and watch the sunset over this beautiful city, a mix of gorgeous architecture and natural beauty. 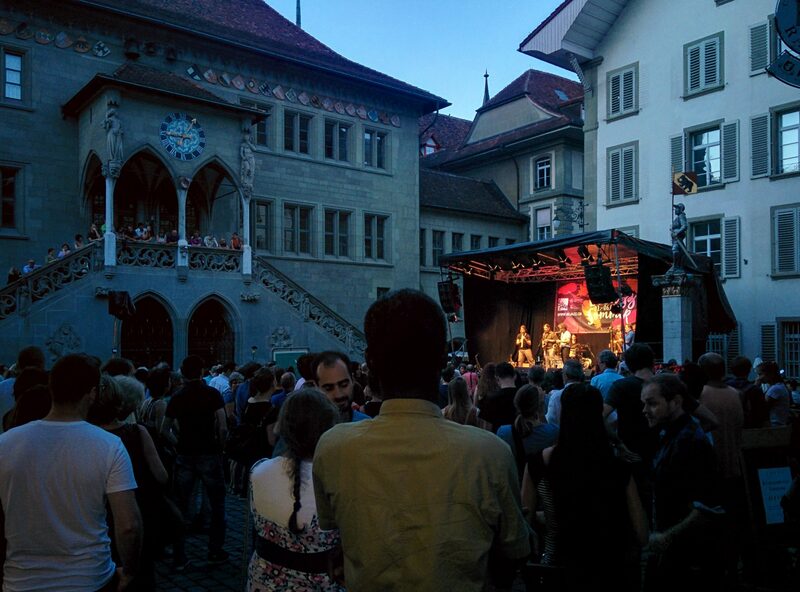 After the perfect sunset in the Rosengarten the best way to finish a day in Bern is walking through the streets, try to get lost in the Historic Centre. I found myself wandering into what looked like a cultural festival. The streets were filled with jazz music, and even old black and white films. Since the films were in German I couldn’t understand a thing, so I decided to relax for a bit white the soothing jazz in one of the small squares. 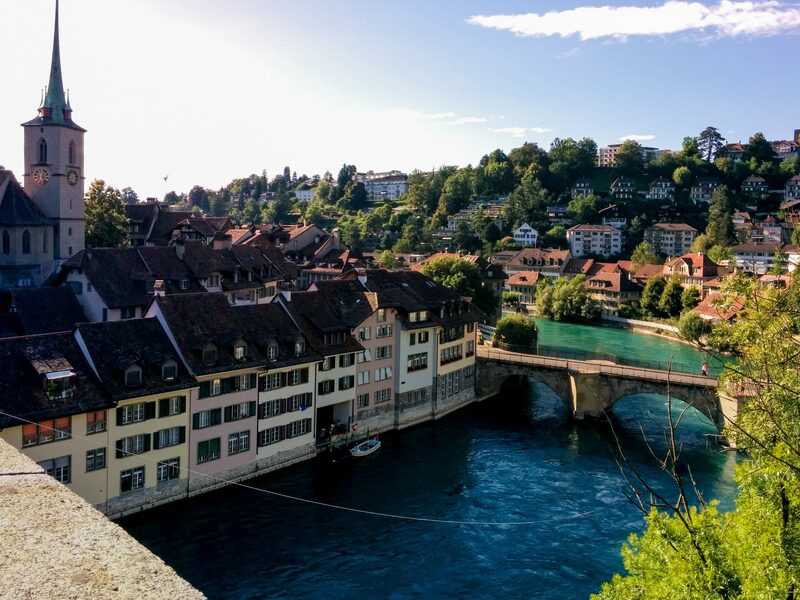 Bern is a truly unique city, a peaceful and beautiful spot perfect for some time to relax and enjoy yourself. I love that you can find small surprises on every street! 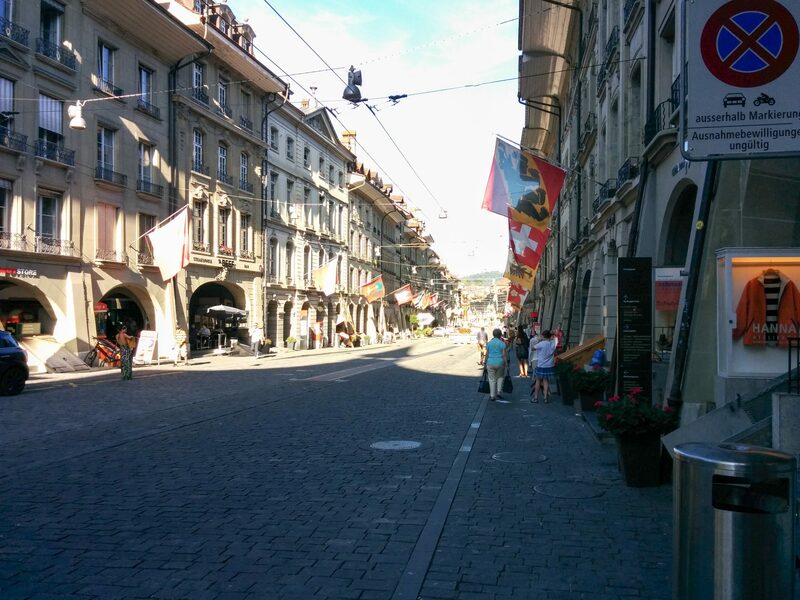 And even if you only have a day in Bern I think you can enjoy most of what it has to offer.